By Matthew Russell Lee, Exclusive audio UNITED NATIONS GATE, April 12 -- The UN of Secretary General Antonio Guterres has refused to answer Press questions about the murder of two South Sudan civilians by a UN peacekeeper from Rwanda, and a new case of UN sexual exploitation by an international staff member from Nigeria -- nationality undisclosed by Guterres' UN - in South Sudan. But while killing civilians and refusing Press questions about it, now there is a strike which has left the UN's vaunted Tomping camp uncleaned. The UN of Guterres refused to answer Inner City Press' simple questions about it. 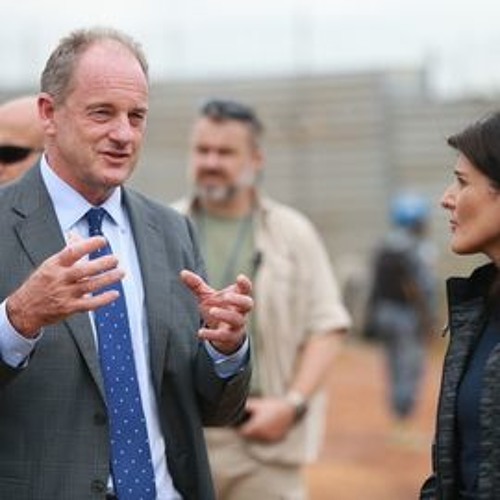 Now we explusively publish this second audio of Guterres' rep David Shearer, saying among other things that the UN can't / won't protect Riek Machar. So why is UNMISS taking $1 billion a year? Which isn't Guterres impeached? On April 11 we exclusively published this audio of Guterres' rep David Shearer, deriding IGAD as apathetic, praising now deposed Bashir, saying there is no pressure on Kiir. Shearer should be fired - and Guterres should be impeached. Watch this site for more audio. Inner City Press as informed: "Dear Mathew, Long time, there is a dispute between the cleaning contractor and the worker. It is simple exploitation in the UNMISS. Their salary is 300 USD. However, they do not pay them in dollar. Just pay them by changing in black market in South Sudanese currency which is below 300 USD. The cleaner demanded their salary to be paid and requested UNMISS to support them. They strike today and will continue tomorrow. The below information is sent to UNMISS staff about the situation. The company should pay them their salary and stop changing the black market and paying their money. Please edit and make their voice louder. We regret to inform you that Ecolog cleaners went on strike today, 8th March 2019, which disrupted cleaning services in Tomping and UN House." From the UN to the Press, no answers, just corruption and censorship.